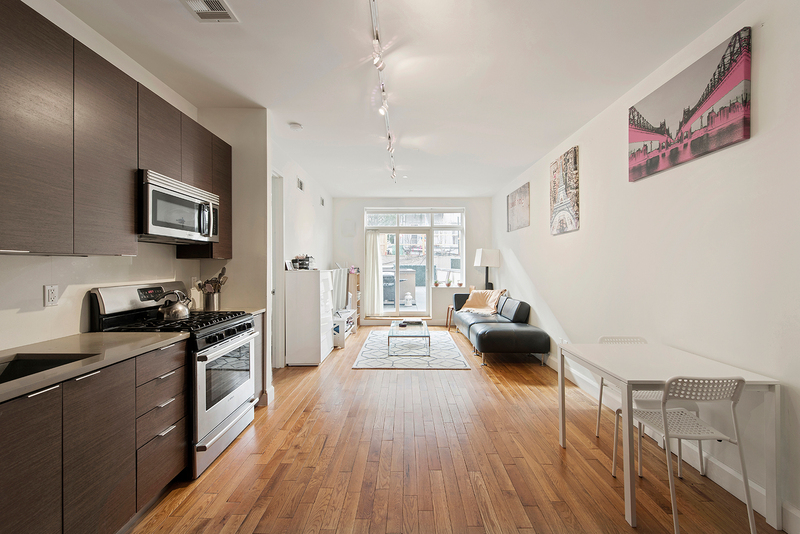 This spacious, 1795-square-foot, one-bedroom duplex is located in the boutique condo building, 88 South 1st. The unit's unique layout can be customized to include two additional sleeping areas. 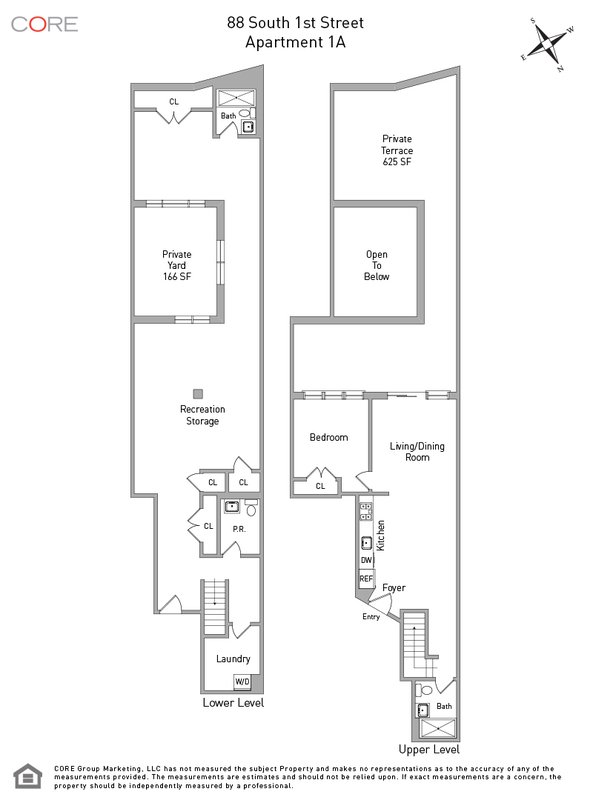 The first level of the unit has a full bathroom, large open kitchen, living room, master bedroom and a 526-square-foot private terrace. The south facing floor-to-ceiling windows of the first floor draw in an abundance of natural light inside to reveal sophisticated touches like wide-plank white oak floors and high ceilings. The kitchens are bespoke from countertop to cabinetry using the finest finishes available and displaying true craftsmanship in detail. The custom cabinets are composed of refined Wenge wood accented by sparkling chrome handles while the counters and backsplash feature white and mocha quartz to create a warm atmosphere. Stainless steel accents include deep, under-mounted sinks and a full suite of appliances from Broan, Bosch and Blomberg. The master and second baths feature custom walnut wood vanities, white tiles and chrome fixtures.